Whatsapp is the world’s leading free messenger or cross-platform messaging app for mobiles and tabs which are used to send free Photos, messages, Audios, Videos and many other files through the internet. It is the highly downloadable app on cell phones as compare to other apps. As we all know through the last two years, WhatsApp has become the most popular messaging app for Android device or other smartphones and also taken by the giant social networking site Facebook. So newly WhatsApp developers add a new feature called “Last Seen” or “Seen Tick mark” which will be visible when you send every message to your receiver. So many users don’t want to show these tick, and so they want to Hide Double Tick On Whatsapp. Step 2: –Goto your WhatsApp account settings by clicking options button. Step 3: – Then find Settings>>Account>> Privacy. Note: – Users who already have the new version of WhatsApp they can simply follow the above methods and remove read receipt. People who were using old WhatsApp app don’t have this feature. Kindly update your WhatsApp account and follow the above steps. If you follow this article, you will also not be able to see read receipts of the messages you send to your friends. But if you want to hide your receipts and still want to see others read receipts, Just follow the below article. If you want to disable your receipts and still you want to see others read receipts, Just follow the steps given below. Step 1: – Download WhatsApp+ (Plus). Search on google and download the Whatsapp Plus On your android device. 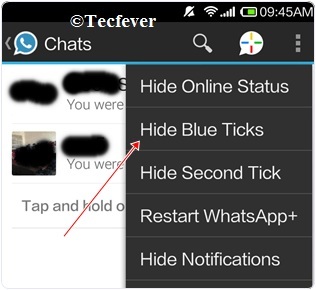 Step 2: – After Installing WhatsApp Plus go to your WhatsApp menu and click on Hide Blue Ticks. We hope the above article will help you to disable one of the features of Whatsapp in a useful manner. We hope this article will be very helpful for you. If you are a lover, it will be helpful. 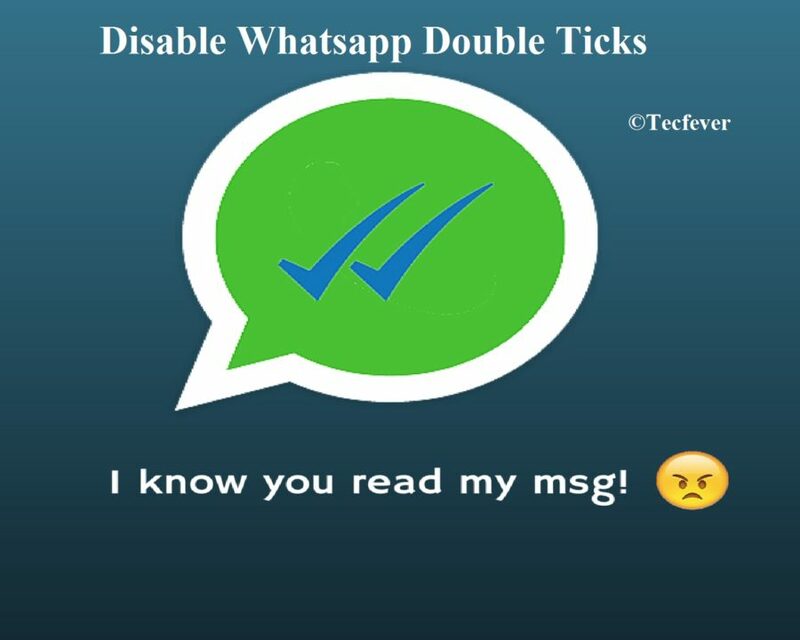 This article will teach you to Hide Double Tick On Whatsapp. If you face any problem or if you have any doubts about this article Just comment below we will help you. We are always here to help you. Thanks for reading and supporting us.